I’m so excited to bring you another week of Holiday Connections! 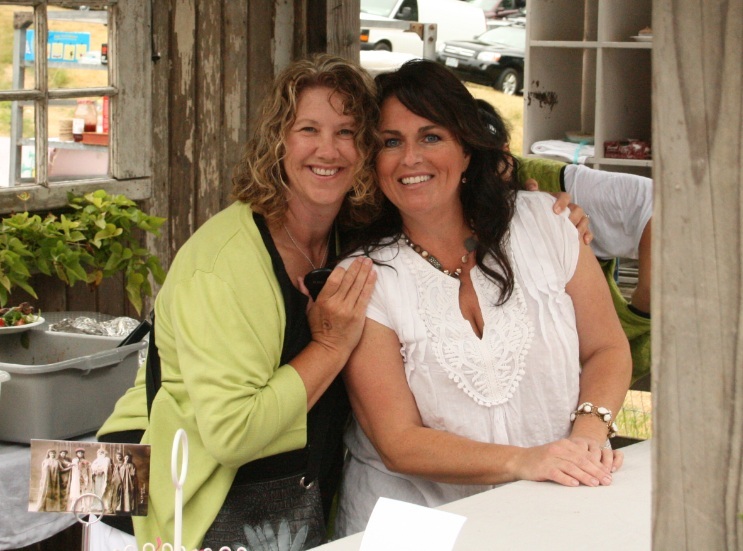 This week we are getting cozy with Kim Demmon …….I’m SURE you know her blog, Today’s Creative Blog. Kim featured my blog over a year ago and I’ve been floating on cloud nine ever since! She features all the “cool blogs” , ya know! Kim is sweet, funny, VERY creative and I’m proud to say……my friend ! 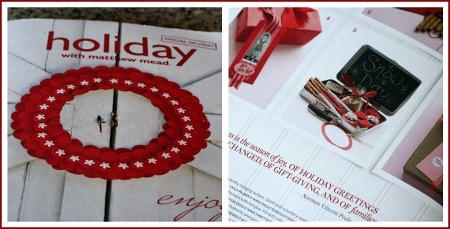 TidyMom: Congrats on being featured in Mathew Mead Holiday! What inspires you? Kim: I always get inspired by what other people are doing. That usually gets me going in a direction, then I can take it from there. TidyMom: When does your family put up your Christmas tree? Kim: We usually get our tree the weekend after Thanksgiving. We head out to a tree farm in Skamania County with my husbands family. It’s a tradition that we have a tailgater after getting our tree’s cut. We serve treats, spanish coffee’s and hot chocolate. We are always the envy of all the other tree cutters. 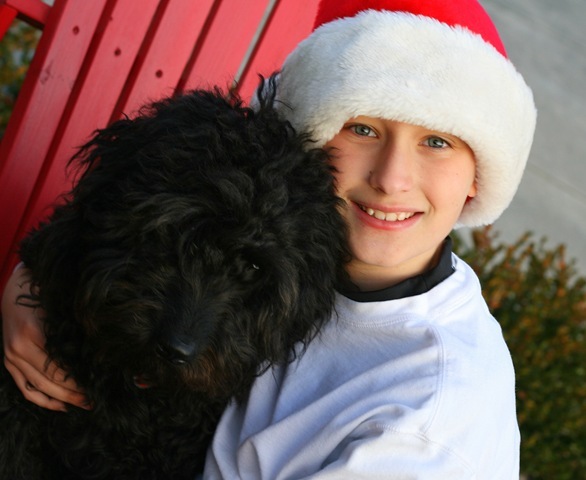 TidyMom: What do your kids want for Christmas? Kim: I just have the one son, so it’s ALL about him. He’s at that awkward stage where he’s transitioning from “toys” to mostly electronic stuff. I think we’ll get him an ipod nano so he’ll leave my itouch alone. Of course he wants playstation stuff. TidyMom: Do you wrap Santa gifts? Kim: Santa does not wrap his gifts. My son actually still believes in him. I have a feeling he’ll figure it out this year. TidyMom: What is the most romantic gift you have ever received or given? Kim: It wasn’t actually Christmas, but we were decorating the Christmas tree. We placed all the ornaments on the coffee table before placing on the tree. My boyfriend (now husband) sneaked a ring box with my engagement ring on the table. When I picked it up to open it, looking for an ornament, he asked me to marry him……….TM: AWWWE how SWEET is THAT?! TidyMom: What is your favorite part about the holidays? or favorite Holiday tradition? Kim: I like gathering with friends. We host an annual Cookie Decorating party for a small group of friends. It started for a way to get our children and us together. It is sometimes the only time of year we see them. We will celebrate our 9th one this year. 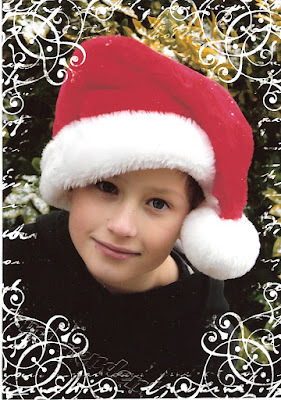 TidyMom: Do you send out Christmas cards? and if so, do you make them? Kim: We always take a photo of our son, usually in a Christmas hat. Every year it’s a scramble, but we seem to always get that perfect shot. I only made them one year and lets just say it was a glitter mess for people when they opened it. 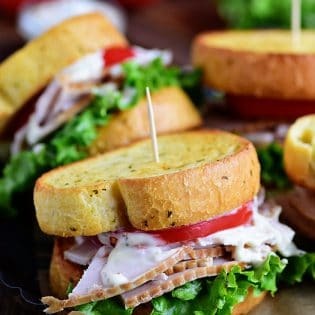 TidyMom: Do you have any special food memories from Christmases past? TidyMom: Do you leave out cookies for Santa? Kim: Of course! My son draws him a photo and leave cookies. We also leave a couple of carrots for the reindeer after sprinkling reindeer food (glitter and oatmeal) in the yard. TidyMom: What color scheme or “style” do you use to decorate for the Holidays? Kim: I fantasize about having all the same color packaging, perfectly matched decorations. But the reality is I have a mishmash of old favorites. My house looks like the gingerbread house blew up during Christmas. TidyMom: Do you have a guilty pleasure? Thanks so much for letting us be a part of your holidays Kim!! oh……….and you all may want to make sure you vist Today’s Creative Blog , there’s a LOT of excitement over there! Kim is having a $250 Gamestop Gift Card giveaway! Be sure to check out the Creative Girls Holiday Gift Guide! So many great inexpensive original ideas for Christmas gifts. I totally adore Kim! She rocks! Cheryl, Thanks for this interview w/ Kim. She featured my tiny blog at a time I was feeling like I should just throw in the towel. I have loved her to pieces ever since! So fun to learn more about you, Kim! I guess I must live under a rock. This is the first *meeting* I’ve had with Kim. For shame! Lovely interview. Thanks for the *introduction*. Going to check out her blog. What a great spotlight. I love Kim and Today’s Creative Blog. Sweet interview! So nice to learn more about you, Kim! Your son is beautiful! I think, that you are not right. I am assured. Let’s discuss. Write to me in PM, we will talk. I am sorry, that has interfered… But this theme is very close to me. Is ready to help. You are mistaken. Let’s discuss. Write to me in PM, we will communicate.